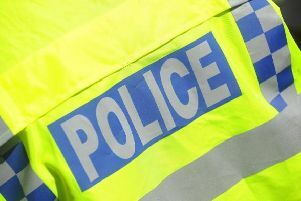 Northamptonshire police has recently launched a new rural crime strategy to tackle issues such as sheep rustling. Incidents of sheep rustling and criminal butchery have been rising in Northamptonshire in recent months. In the latest incident a sheep was butchered in Staverton, a village near Daventry, last month. Similar animal attacks have happened since October in Ecton and Holcot. In October 13 sheep were rustled in Woodford Halse and the previous month 31 sheep were taken from a field in Kilbsy, near Daventry. Other incidents have taken place in Wadenhoe, near Oundle, and Braunston, near Daventry. The Northants force has also said it has found some sheep. Sixteen sheep were found in Catesby in October and three yews and a lamb were found in Crick in September. Between January and August there were no recorded incidents of rustling or butchery in Northants. The latest incidents are happening largely in the south of the county. Police, fire and crime commissioner Stephen Mold has said rural crime will be one of the key areas of focus for police in the year ahead. Chief Insp Kev Byrne, of Northamptonshire Police, said: “Incidents of sheep rustling remain rare in Northamptonshire, as the figures show, but we continue to work with farmers, landowners and rural residents to monitor and tackle all aspects of rural crime. “Last month we launched, alongside partners, our new rural strategy at two barn events which were extremely well attended and allowed us the opportunity to provide advice via a new rural crime prevention booklet which will be a useful resource for rural residents and business owners. “We continue to listen to people in rural communities and to explore ways how best to respond to reports of crime and anti-social behaviour.